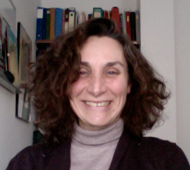 Monica is full Professor in Statistics, Director of the Tuscany Interuniversity Centre on Advanced Statistics for Equitable and Sustainable Development “Camilo Dagum”. Papers on: Small Area Estimation, Analysis of survey data and SAE. Projects funded by EC: Small area Methods for Poverty and Living Conditions Estimates (S.A.M.P.L.E. ), EFRAME European Framework for Measuring Progress; the Inclusive Growth Research Infrastructure Diffusion, INGRID. Delegate of the Rector for Statistics and Job Placement activities, she teaches at undergraduate, Master and Ph.D. level also in Summer Schools on Poverty and Living Conditions and in EMOS Spring School. 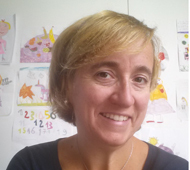 Member of the Italian Statistical Society (SIS), elected member of the Council in charge of the School of the SIS. Member of the Expert group of the European Master of official Statistics, past member of the Council of the International Association of Survey Statisticians (IASS), since 2012 elected member of the International Statistical Institute. Luigi is full professor of Economic Statistics, Professor Emeritus at the University of Florence, professor of Statistics at LUISS University of Rome, member of the TAG for the ICP at the World Bank and Chairman of the Evaluation Body of the Polytechnic of Milan. 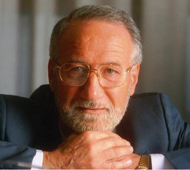 He was: Director of the Department of Statistics and coordinator of the Phd Program in Applied Statistics at University of Florence, Senior project advisor for the FAO-Italy project for the implementation of the First Agricultural Census in China, President of the Italian National Statistical Institute (Istat). President of the International Association of Survey Statisticians (IASS); vice-President of the UNECE Statistical Commission and member of the Partnership Group of the Program Statistical Committee of Eurostat. Papers on: index numbers and purchasing power parities; survey methods; official statistics; statistical analysis of the efficiency and effectiveness; measures and analysis of well-being and quality of life. 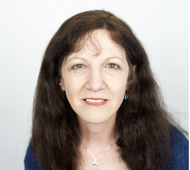 Natalie is Professor of Social Statistics in the School of Social Sciences at the University of Manchester since September 2012. Prior to that, she was Senior Lecturer and Director of the MSc in Official Statistics Programme at the University of Southampton. Her areas of interest are survey methodology with a focus on survey design and estimation, non-response adjustments, quality indicators for survey representativity, adaptive survey designs, statistical data editing and imputation, statistical disclosure control and small area estimation. She is an elected member of the International Statistical Institute and a fellow of the Royal Statistical Society. She is an associate editor of several journals including the International Statistical Review and the Journal of the Royal Statistical Society (A), and a co-Editor for the International Association of Survey Statisticians’ newsletter. She is the UK Principle Investigator for several grants of the 7th Framework Programme of the European Union, a co-investigator on the ESRC funded National Centre of Research Methods and a Principle Investigator for the Leverhulme Trust International Network Grant on Bayesian Adaptive Survey Designs (BADEN). She has many publications in refereed international journals and books and has given over 30 invited lectures. 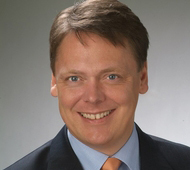 Ralf is University professor, Chair holder of the Economic and Social Statistics department at the University in Trier. Papers on: survey sampling methods, data quality, computational statistics, indicator methodology and the modelling of imprecise data. Scientific coordinator and responsible for four work-packages of the DACSEIS project (Data Quality in Complex Surveys within the New European Information Society;. Scientific coordinator of the KEI (Knowledge Economy Indicators); Responsible for design and quality of the German SILC which includes the German Laeken indicators (two projects with the German Federal Statistical Office). Project coordinator of the Census 2011 project, which aims to develop the sampling and estimation methodology for the upcoming German census in 2011, as well as for the FP7 – AMELI project, which deals with the estimation of the European Laeken indicators based on the EU-SILC data. Partner in FP7 Blue-ETS project responsible for WP6 – Better Quality on Business data. 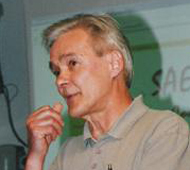 Risto is professor of Statistics at the University of Helsinki. Previously: Research Professor, the Social Insurance Institution of Finland, Professor of Statistics, University of Jyväskylä, Director of Social Statistics, Statistics Finland, and Director of Research, Statistics Finland. Elected member of the International Statistical Institute. Involvement in: Steering Committee of European Working Group on Small Area Estimation, Zensuskommission, Statistisches Bundesamt (Germany), and Steering Committee of the Baltic-Nordic-Ukrainian Network on Survey Statistics. Past President of the Finnish Statistical Society. Papers on: survey statistics, small area estimation and the analysis of complex survey data. He has been involved in international research projects in statistics, funded e.g.by the European Commission. Textbooks on statistics and survey sampling, methodological and empirical research papers in international journals. Associate Editor for international journals in statistics. Francesca is research assistant at the Department of Economics and Statistics, University of Siena. By the end of the PhD in Applied Statistics, she has been working on poverty measures from various points: cross-sectional and longitudinal, multidimensional, absolute or relative, national level or local and small area level. She has also been working on methods for variance estimation. Actually the research activity is focused mainly on conventional and non-conventional poverty measures at regional level or in small area. She has been involved in several European research project, in particular as data manager and SAS analyst. She has been teaching in several university courses for undergraduates, Masters and PhD and also in International Summer Schools. 2/12/2016 - Seminar "Official statistics and poverty: critical aspects and possible proposals"